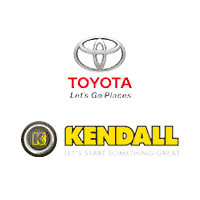 Kendall Toyota is proud to sell and service Toyota vehicles in Bend. We also serve customers in Redmond, Sisters, La Pine, Prineville, Terrebonne, Madras, John Day and Springfield. With models like the new Toyota Camry, Toyota Prius, and Toyota Tacoma, we have something for every taste and budget. Browse our new Toyota inventory to check out the model you’ve been eyeing. If it’s a used car, truck, or SUV you’re looking for, Kendall Toyota of Bend has a huge selection of Certified Pre-Owned vehicles too. Need financing for that new Toyota truck? Be sure to come by our Toyota Finance Center to see our financial experts about securing a Toyota auto loan. Bad credit? We can help! Our finance team specializes in good credit, bad credit, or no credit car loans. Our Toyota Service Center is in the business of keeping you on the road. Whether you need a Toyota oil change, brake check, Toyota parts, or anything else, our service technicians will get you back on the road in no time. Kendall’s General Manager Robert Durfee and the team are committed to complete customer satisfaction and are confident they can help you find the new car you’re looking for. Even though we offer big city savings and selection, you can always count on us to be your hometown dealer.